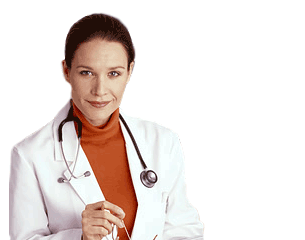 Medical coding software from MDWizards. The ultimate source for medical coders. Start using our medical coding software. Increased coding accuracy translates into increased profitability, pure and simple. Subscribe to referenceWizard today to have online access to the latest CPT, HCPCS, ICD-9-CM, and ICD-10 codes. Easily lookup medical codes and their full description or cross reference between ICD-9 and ICD-10. Check for ultimate specificity, associated medical edits, medical necessity or allowed procedure modifiers. Stress-free, accurate and compliant coding means higher reimbursements, fewer denied claims and a more profitable practice. Evaluation and management (E/M) coding routinely presents difficult challenges when determining accurate coding from a wide range of choices. As a result, providers tend to make more E/M coding mistakes than with any other item or service. The E/M Wizard removes guesswork or uncertainty from the coding process while helping to quickly and efficiently calculate E/M codes to the highest appropriate level. An excellent provider auditing and educational tool, this product works to effectively complete required patient documentation. Reduce or eliminate claim-denials and improve your ability to code and bill correctly with claimWizard Pro. Our premier claim-scrubber will help you validate your medical claims against hundreds of medical coding edits and millions of code pairs to check whether your medical codes are compliant and correct before submitting them to the payers. Accelerate your reimbursement cycle and reduce submission cost. claimWizard Pro will help you find missing charges and optimize fees. It is easy-to-use and always up-to-date. Stay on top of the news and reduce the chance of receiving junk mail with our FREE Dashboard. Every product from the medical coding software suite comes with our FREE Dashboard which allows you to streamline over 600 medical feeds directly to your screen. Sources include CMS, AMA, FDA, CDC, AAPC, WHO, and many others. Subscribe only to what interests you and see the content immediately on the page thus reducing the chance for receiving junk mail. Sign-up for a user account today. Importance of compliant and correct medical coding. ICD-10 Implementation Handbook - Small/Medium Practices. 1995 Guidelines for Evaluation and Management Services. 1997 Guidelines for Evaluation and Management Services.